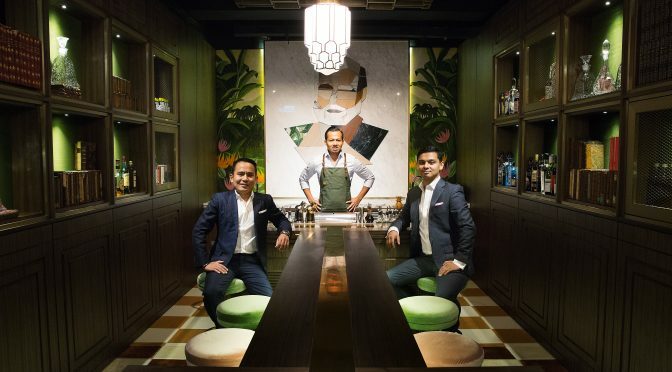 Taiwanese drink maestro Angus Zou has partnered up with Tastings Group’s very own pioneering bar figure Antonio Laito to unveil Hong Kong’s first “cocktails on tap” bar concept. One of Taipei’s “Best New Bars 2018” as recognized by Drinks Magazine, Draft Land serves seasonal pre-batch-only and garnish-free cocktails on tap, embodying four core values: speed, high-quality, sustainable and affordable. Angus Zou and Antonio Lai have created more than 40 different cocktail flavours to be available on a rotational basis on the 24 taps. Starting at HK$90 per cocktail and HK$70 for spirit free options. Some signature flavours include Silver Fizz, a simple infusion of gin, dill and citrus, Soju Martini, a combination of soju, sherry and pandan, and Run Stout, served in a Nick & Nora glass with dark rum, black tea, pandan and Porter beer. 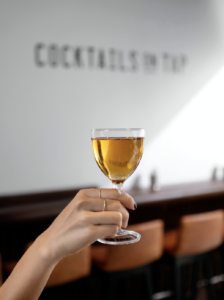 Alongside alcoholic and spirit free cocktails at Draft Land, guest will get to enjoy various street food-style snacks, which also include vegetarian options.